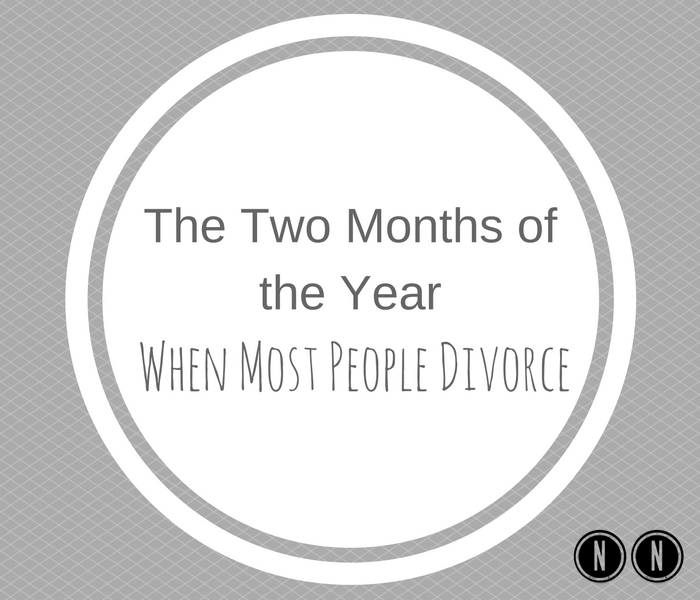 According to recent research, the two months of the year when most people divorce are March and August. Well, at least for the state of Washington. Brian Serafini and Julie Brines from the University of Washington researched the divorce records for the state of Washington. Their study found that unhappy couples file for divorce right around when winter break and summer break occurs. Serafini and Brines speculate that couples may wait until after a big vacation so they don’t spoil the trip or that the vacation was so stressful on the partnership that it drives the already unhappy couple to divorce. Brines also speculates that the timing might be because the couple uses the vacation as an opportunity for a last ditch effort to mend the relationship, only to find out afterward that it did not help. This study does not suggest that if you think you’re having marital problems, to steer clear of vacations. What it does suggest is that vacations, while they would seem to be relaxing, can contribute to the stress already on a relationship. Think before marry someone to avoid this one. Regardless of my best endeavors generally, my first marriage ended in separation after numerous years. I was extremely youthful when I wedded, and did not wed for the correct reasons either.